The Chevy Impala is a 6-passenger family sedan that is known for comfort, safety, fuel efficiency and smooth ride. The Impala has a broad appeal for sedan buyers, thanks to a roomy interior and comfortable ride. 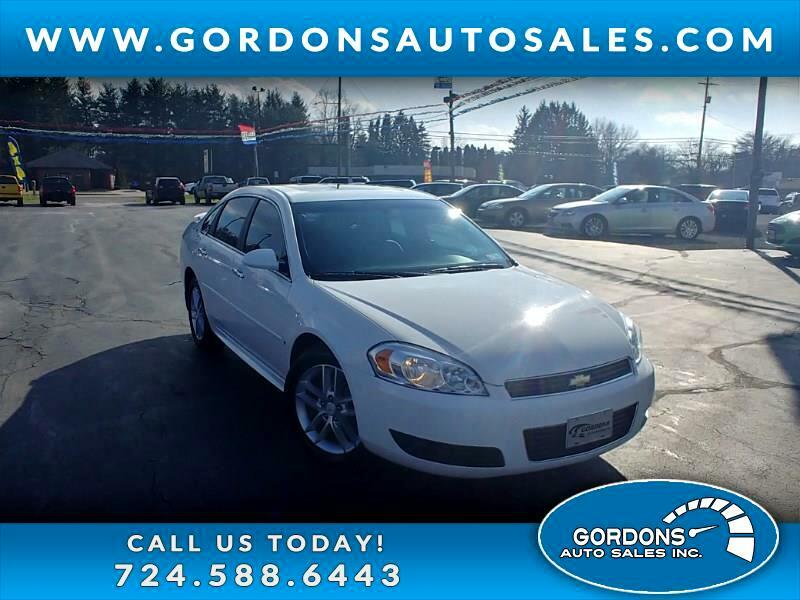 The great thing about this Impala is that it's loaded features that include: keyless entry, heated seats, leather, sunroof, Bose stereo w/ CD, and dual temperature control. This one is going to last, so set your appointment today or get our immediate credit approval now! Yes, we take Trade Ins! We can help you with financing; Good Credit or Bad Credit, call us today. We are located across from McDonalds and Walmart at 62 Hadley Road in Greenville Pa. 16125. Gordons Auto Sales, since 1993, locally owned and operated. Always open 24/7 at www.gordonsautosales.com. Call 724-588-6443 to schedule your test drive. Thank you for looking!! Message: Thought you might be interested in this 2009 Chevrolet Impala. Gordons Auto Sales Inc. strives to provide quality pre-owned vehicles to all credit types. Our good credit banks offer the most competitive rates and our less than perfect credit financing offers those in need of financing a chance to build or rebuild credit. We have been working with customers in North Western Pa and Ohio for over 25 years. (Greenville, Jamestown, Conneaut Lake, Meadville, Cochranton, Franklin, Oil City, Mercer, Sandy Lake, Hermitage, Sharon, West Middlesex, New Castle, Kinsman Ohio, Brookfield Ohio and Andover Ohio to name a few.) Visit us on Facebook at www.Facebook/Gordonsautosales. Stop in to see us or give us a call. We are here to help you. We appreciate your business and make every effort to present information that is accurate .The pricing, equipment, specifications ,and photos shown above are believed to be accurate, but are provided "as is" and are subject to change without notice. We do not warrant or guarantee such accuracy. Vehicle specific information is based off standard equipment, and therefore exact configuration, color, specifications , and accessories should be used as a guide only. To ensure your complete satisfaction, please call us for complete vehicle specific information.